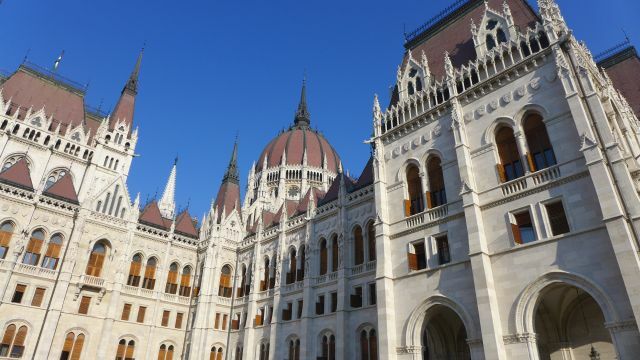 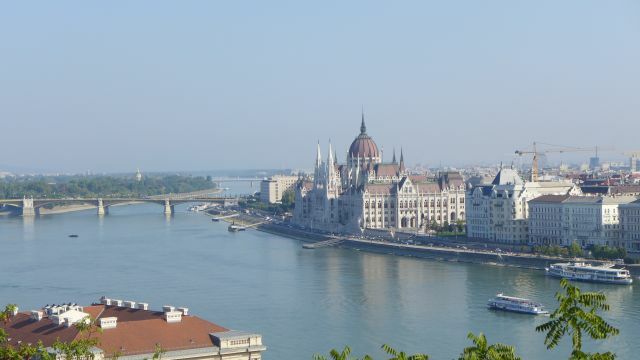 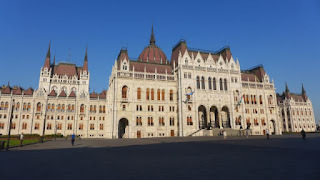 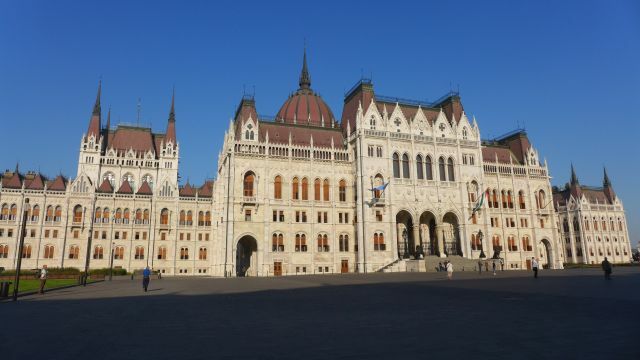 From the Parliament building on the Pest side, we went across the Danube to the Buda side, towards Buda castle, taking the tram no 2 from Kossuth Lajos Ter to Szechenyi Istvan Ter, then took bus no 16 to Clark Adam Ter. 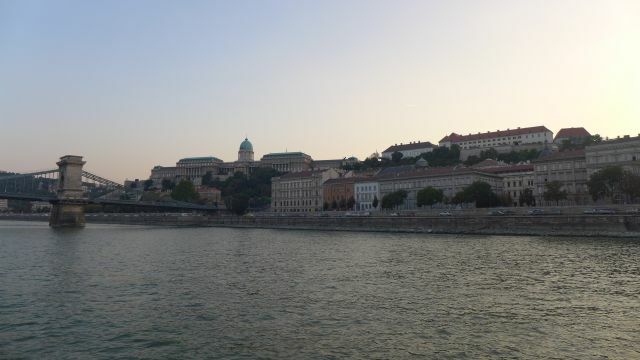 We hiked up the hill to Buda Castle from there, although there is an option to take the funicular train up. It was not a steep hike, so we think it was better to hike. 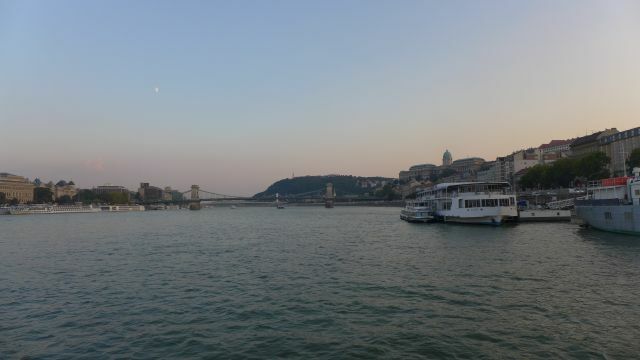 Word of caution! 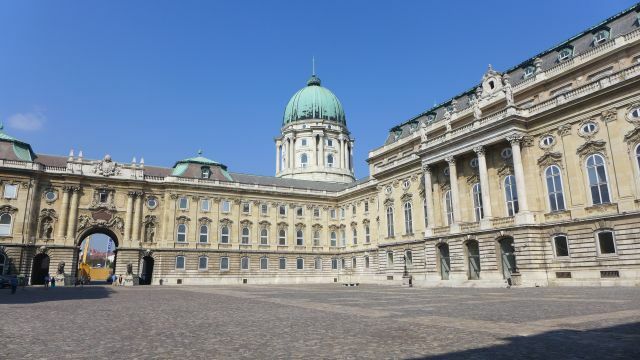 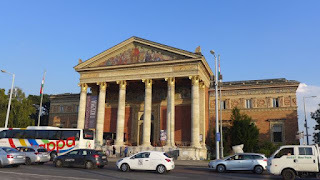 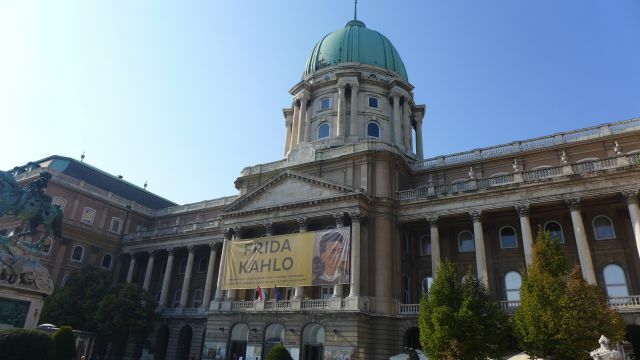 We intended to take a tour of the Buda castle, but ended up entering the Hungarian National Gallery instead as the main entrance that greets you from the funicular train or hike up is the gallery. 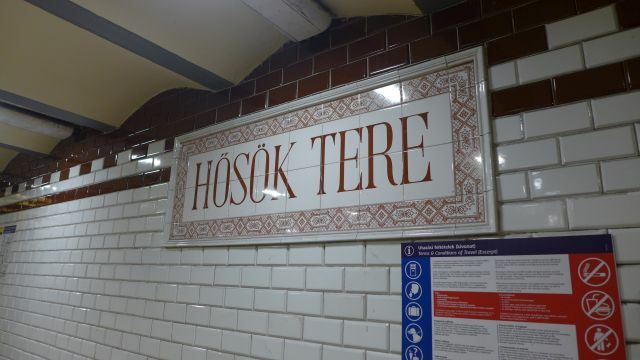 Ticket entrance is HUF 1800 per person. 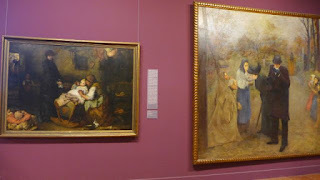 We walked into all corners of the gallery trying to find any displays of splendour such as the one we experienced at Windsor castle, with castle furniture, apartments, ornaments and such; but there were only paintings. It only occurred to us that we might have entered a gallery instead - true enough - it was the case! 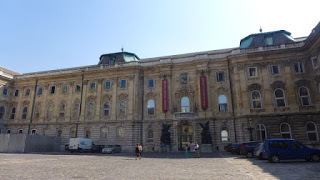 Nevertheless, the paintings were remarkable, I especially enjoyed those from the 19th century as they depicted the scenes from the bygone era. Not giving up yet, upon exiting the gallery, we went around the castle building in search for another entrance to a castle tour. We found the entrance to the Budapest History Museum on the opposite side of the gallery entrance and paid another HUF 2000 per person. 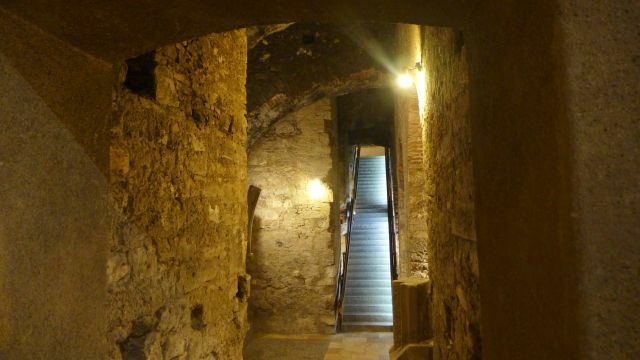 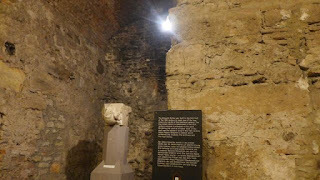 The History Museum has displays of ruins from the original medieval castle, crockery, coins, books, weaponry, costumes and some furniture. 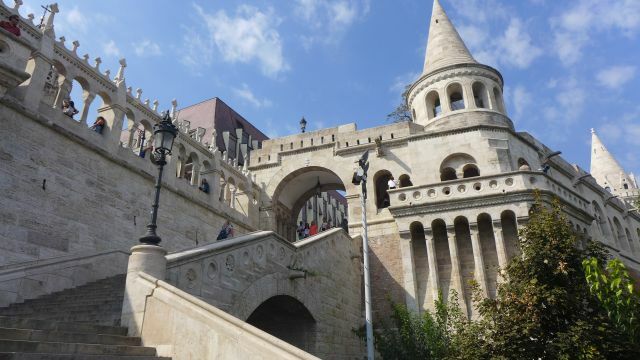 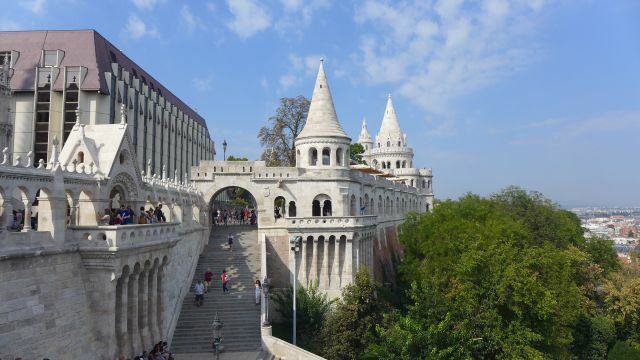 From Buda castle, we walked to the Fisherman's Bastion, a picturesque terrace on the same Buda side as the castle. It was designed and built between 1895 and 1902. 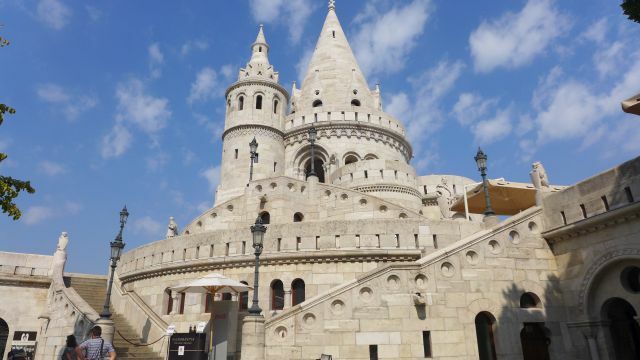 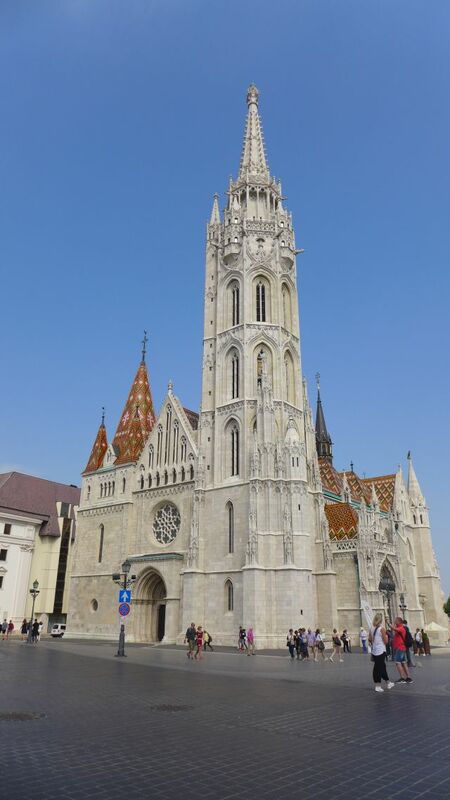 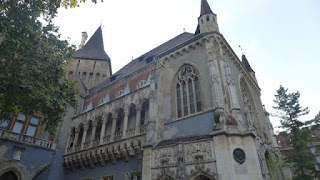 Also near to the Fisherman's Bastion is the Matthias Church, a Roman Catholic church originally built in 1015. 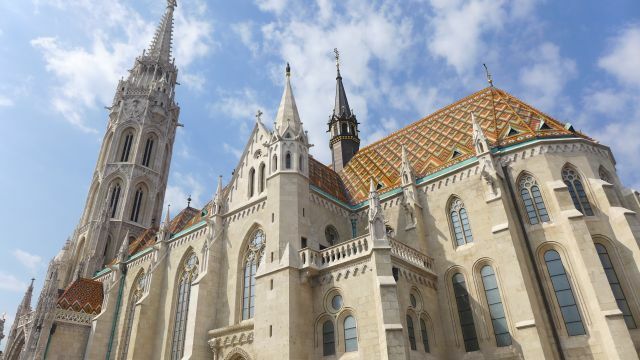 It has the unique multi-coloured tiled roof. 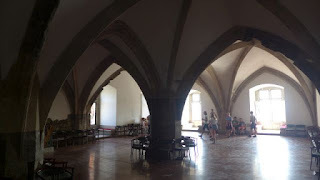 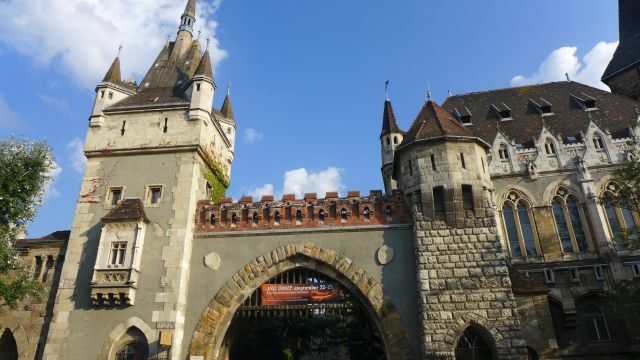 After lunch (again at Istanbul kebab) and a bit of rest back in our room (a welcome respite from the hot afternoon), we went out again around 4pm to Vajdahunyad Castle, a smaller castle in the City Park built in 1896. The nearest Metro station is Szechenyi furdo on Line 1. 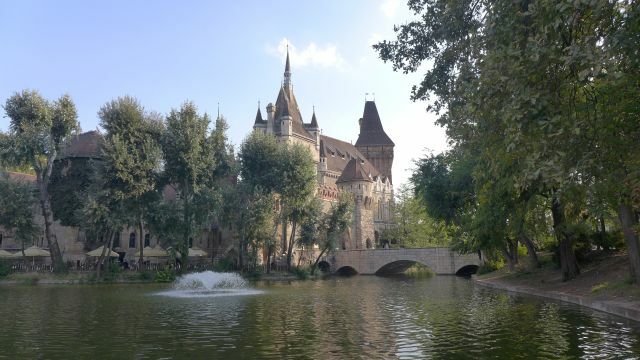 Not far from Vajdahunyad Castle is the Hero's Square or Hosok Tere. 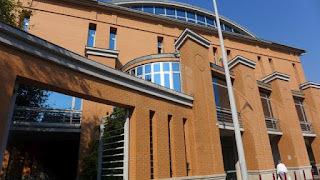 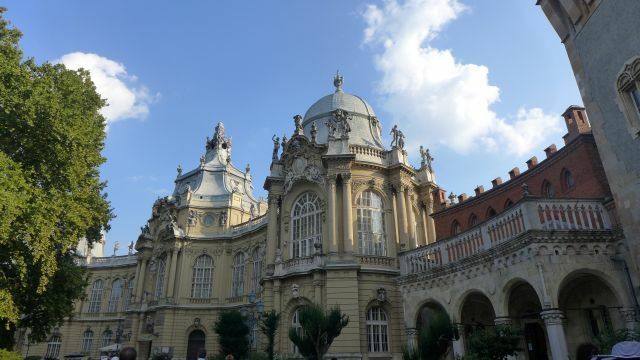 It is surrounded by two important buildings, Museum of Fine Arts on the left and Palace of Art on the right. 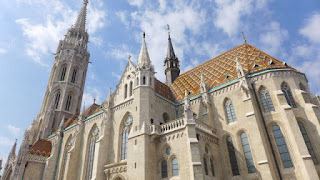 Info taken from here. 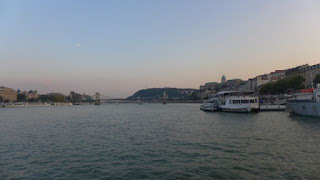 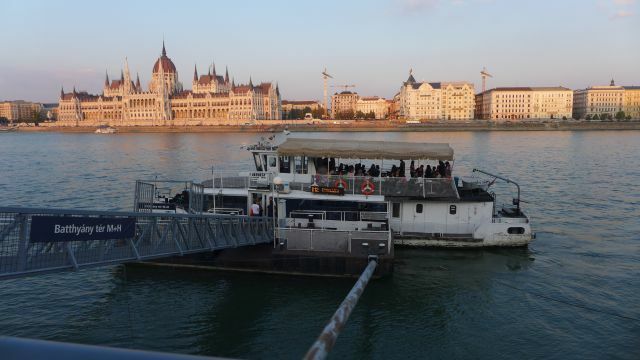 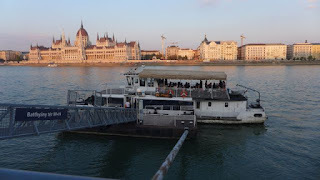 We end our Budapest tour today with a river cruise on the Danube, taking the free ferry ride (included with the 72 hour travel card) from Batthyany Ter to Boraros ter which took about 40 mins. 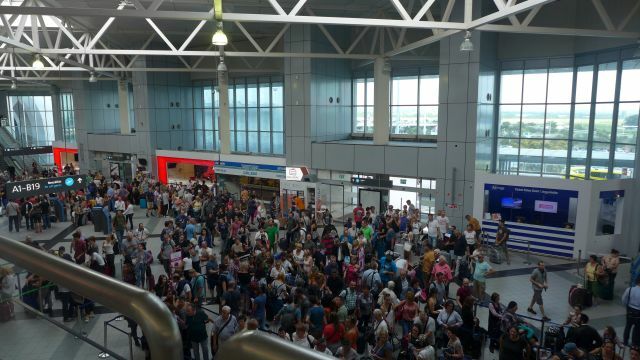 We received notification last night that our Qatar air flight would be re-scheduled to Fri 21 Sep 9.40am from the original Thu 20 Sep at 11pm. 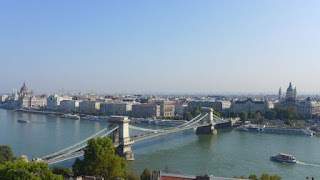 Since we did not book any accommodation to spend the night, we decided to go to the Qatar airways office at Budapest Bank Center to enquire if the airlines would offer us accommodation. 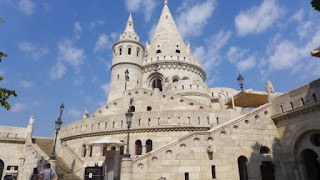 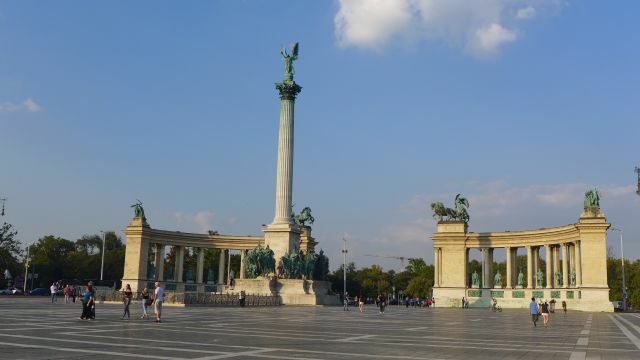 It turned out they did not, but we could re-schedule our flight to earlier at 5.30 pm today, so we agreed to it as we have covered most of the sites in Budapest and did not want to incur additional costs. 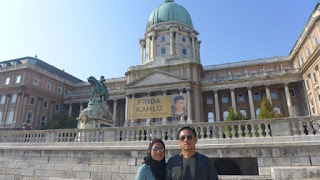 From the Qatar airways office, we made our way to the Mosque of Muslims Budapest, taking tram no 47 from Deak Ferenc Ter to Csonka Janos Ter. 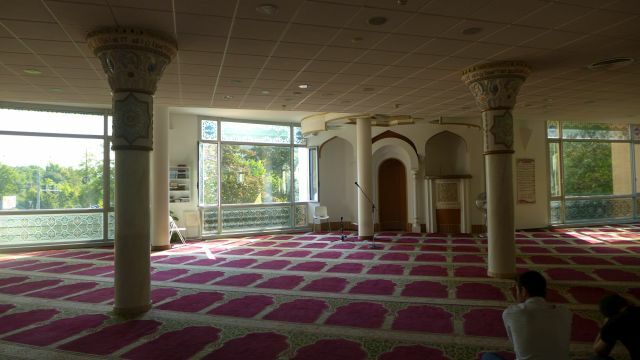 The facade of the building is not typical of a mosque, so we almost missed it. 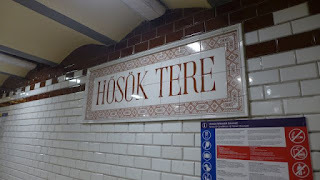 Lastly, we made our way back again to the Great Market Hall to buy souvenirs, then had lunch at another Turkish restaurant - Aya Sofya before going to the airport. To get to the airport, we took the 100E bus from Deak Ferenc ter and paid HUF 900 per person (bought from the ticket machine). According to the Budapest public transport website here, a special ticket must be purchased for bus 100E – other tickets or season tickets are not valid for this service. 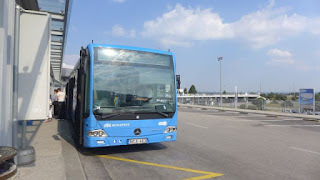 The bus journey took about 40 minutes. 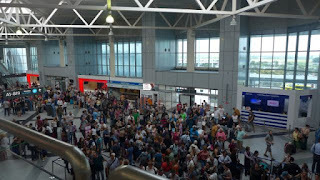 Budapest airport was packed that day, and our flight was also full, mostly with tourists from Hong Kong / China. At the airport, we performed our prayers inside the Room of Silence, before the immigration entrance, but you'd have to bring your own prayer mat and take the ablution in the restroom. 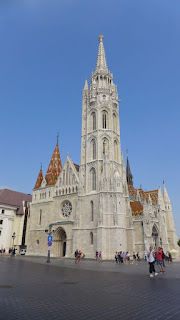 It was the end of our compact 11 day journey to Austria, Germany, Czech Republic, Slovakia and Hungary. It had been a great journey with many historical sites, magnificent views and valuable experience.